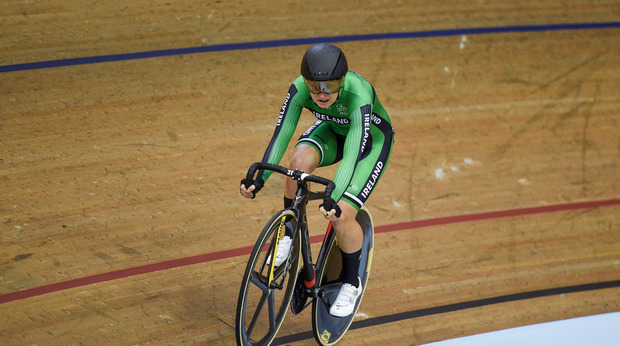 Lydia Boylan took silver in the women's points race on Sunday to give Ireland a second medal from the UCI Track Cycling World Championships in Pruszkow. Boylan used a late attack in the race to gain a lap on the field, catching the pack with just six of the 100 laps to go to vault temporarily into top spot before Australia's Alexandra Manly came back in the final sprint to win by a single point. Silver for the 31-year-old followed Mark Downey's bronze medal in the men's points race on Friday. "I'm overwhelmed to be honest," Boylan said. "I'm not sure when that will sink in. Just incredible, hard work paying off. "I'd been struggling to position myself for the sprints and getting caught out, then I was trying to force the lap too much but I just went at the right time and thankfully the Russian (Gulnaz Badykova) joined me or I would have been pretty cooked out there on my own. "I took the lap too late to have something left for the final sprint but a silver medal is amazing." Boylan's silver turns this into an outstanding week for the Irish, given Downey's medal on Friday was their first at a worlds since Martyn Irvine took silver in the scratch race in 2014. "Mark's medal definitely gave us a boost," Boylan said. "I've been training with Mark for a long time and I always joke he's my derny (the motorised lead-out bike used in some events). "It's absolutely incredible for two of us to be going home with a medal."